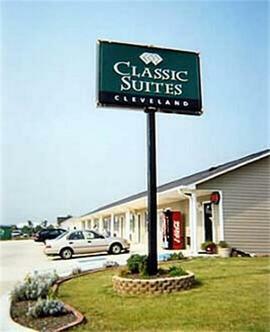 Classic Suites Hotel of Cleveland offers residential style one bedroom suites with full kitchen and all of the amenities and services travelers have come to expect. The Classic Suites of Cleveland is located in fashionable Cleveland, conveniently close to Clevland State Community College, Bradley Square Mall and many other points of interest. At Classic Suites of Cleveland you can count on a friendly welcome, a room that's clean and comfortable, great features and amenities and services that will make you want to return.